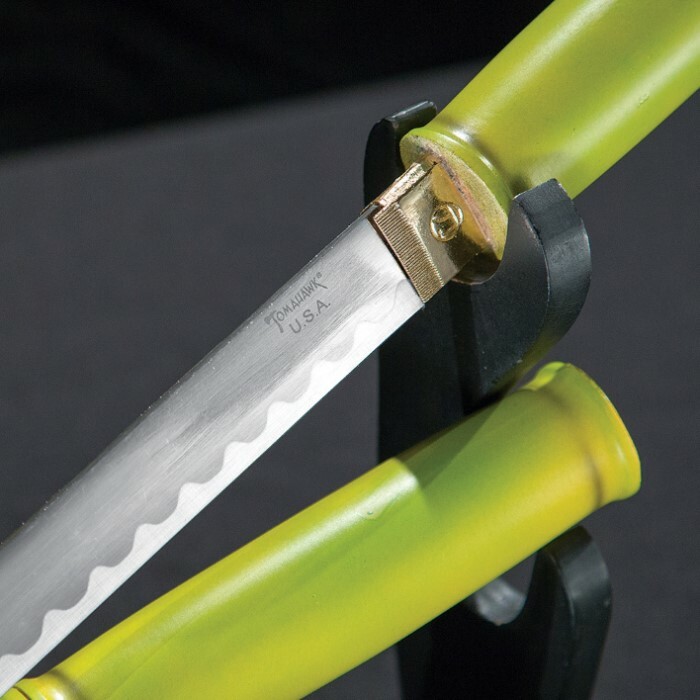 This zatoichi sword looks like a weapon that would be wielded by jungle warriors! The imitation bamboo construction looks just like genuine bamboo, and the 27-1/4" blade features carbon steel construction. 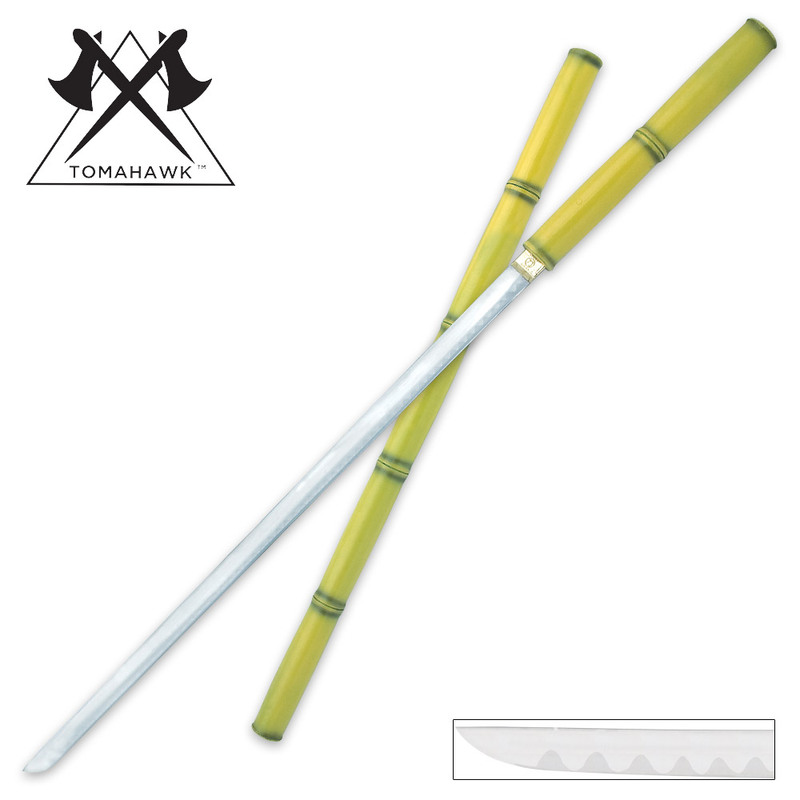 When the blade is in the scabbard, you have the look of a solid, 41" piece of bamboo.